Prominent & Leading Manufacturer from Jalandhar, we offer concrete spacers, bar bending key, bar bending plate and rebar caps. It is also known as Rebar Spacer, Fiber Reinforce Concrete Spacer, Concrete Cover Blocks, Fiber Concrete Spacer, Etc. 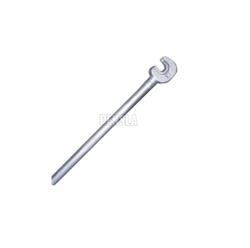 We are affianced in manufacturing and exporting Bar Bending key for the perusal of our clients. These Bar Bending keys are fabricated using high-tech machines to ensure high tensile strength and durability. Our range of bar bending keys is known for its rigid design, reliability, easy maintenance and operation and more power to weight ratio. Clients can avail our range of bar bending keys at cost effective prices that go easy on the pocket. We are counted among the reckoned manufacturers, suppliers and exporters of Iron Bar Bending Plate. These plates are designed under the guidance of adept professionals who manufacture these using optimum quality metals and allied components. We are actively engaged in offering a qualitative range of Rebar Caps for catering the diversified requirements of our clients. 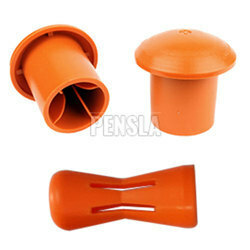 It is also called as Plastic Rebar Cap, End Cap, Safety Cap, Mashroom Rebar Cap, Rebar Indentification Cap, Rebar Flexible Cap.